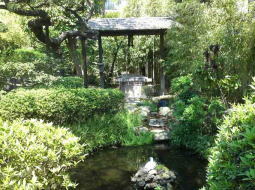 Mamasan Guhoji Temple is one of the oldest temples in Chiba prefecture. 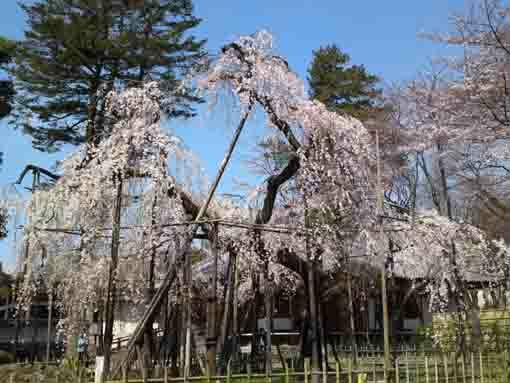 It is said Gyoki or Kobodaishi Kukai built Mamasan Guhoji Temple, it has about 1300 years long history. Later Guhoji Temple joined to Niichiren Sects in Buddhism, and the venerable Niccho basically organized. It is said a framed writing on the Niomon (the deva gate) was written by Kobodaishi and the statues of the guardian gods og the temple. Mamasan Guhoji Temple is the noted temple in Shimousa, the daimyo in Shimousa Chiba Clans and the famous busho for the founder of Edo (Tokyo) Dokan Ota donated to this temple during the Warring States Period. 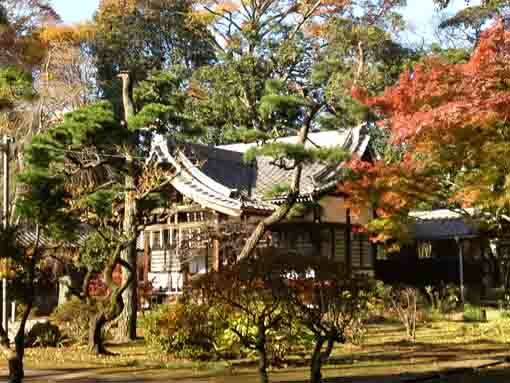 Moreover Mamasan Guhoji Temple was a very popular place to enjoy seeing autumn views in Edo Period, the 8th Shogun Yoshimune Tokugawa, a famous lord Mitsukuni Mito and a famous haiku poet Issa Kobayashi had visited. 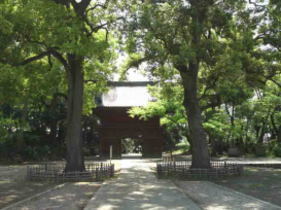 According to Edo Meisho Zue (a guide book introducing landmarks around Edo written in late Edo period), Edojo Castle could be seen from the site in the temple. Now many tall buildings stand, and the Imperial Palace could not be seen, but beautiful skylines of Ichikawa city could be seen. Many poets has loved Mama and Guhoji Temple in Katsushika-gun Shimousa for thousands years. 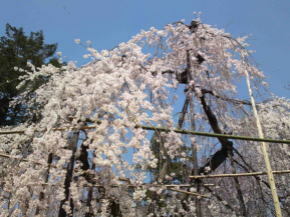 In spring, the weeping cherry tree called Fushihima Sakura blooms and flaming autumn leaves covers the site of Mamasan Guhoji Temple. Why don't you visit Mamasan Guhoji Temple? According to the records of Guhoji Temple, Gyoki built a small temple here in Mama to hold a memorial service for the famous beauty in Manyoshu Tekona in Nara period. 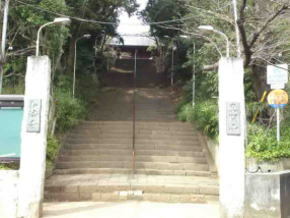 This was the beginning of Guhoji Temple. 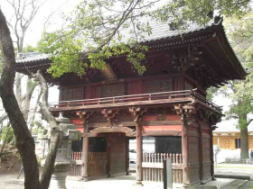 In Heian period, Kobodaishi Kukai constructed 7 buildings and named Mamasan Guhoji Temple. 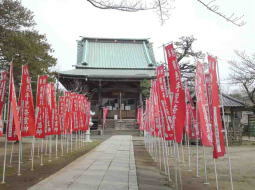 Later, it changed to Tendai Sect from Shingon sect. On the north, there was Rokushojinja Shrine, the provincial capital of Shimousa was located on very close to, Mama is the center of Shimousa province. Therefore there has been the temple since then, and it is supposed that the temple could be connected to the capital. In Kamakura period, the mission of Nichiren gave much influence around Mama and Shimousa, and his disciple Nichijo, the founder of Nakayama Hokekyoji Temple, defeated Ryosho, the chief priest of Guhoji Temple, in argument of Buddhism in 1275, and he changed to belong to Nichiren sect. The first abbot of Guhoji Temple of Nichiren sect was Niccho, one of the 6 great disciples of the Founder Nichiren and the son of Nichijo. According to documents written by Nichiju in 1358, Mamasan Guhoji owned many lands and had devotees in Katsushika-gun and Sendasho (now Tacho-cho), they were donated by Tanesada Chiba late Kamakura period in 1323. During Muromachi to the Warring States period, the post town under the temple called Mama-juku or Ichikawa-juku were flourished and developed and many visitors came and saw Mamasan Guhoji Temple. In 1591, Ieyasu Tokugawa, the founder of Edo Shogunate, gave his shogunal charter to Mamasan Guhoji Temple for owning a piece of land. 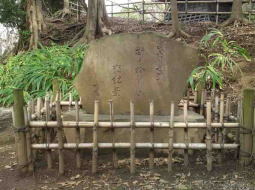 And in 1695, his grandson Mitsukuni Mito visited. 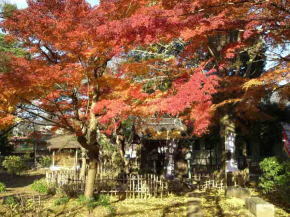 Mamasan Guhoji Temple was introduced in many books, so it was the famous landmark for flaming colored autumnal leaves. However it got fired and lost several buildings in 1888. The most buildings in it was reconstructed in 1890. 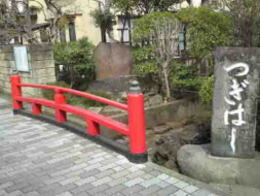 There is Tachi Daikokusontendo where a statue of Daikokuten carved by the founder Nichiren is dedicated, a tea ceremony hall called Henrantei that Mitsukuni Mito named, the bell tower called Koshibakama no Shoro, Niomon, the weeping cherry tree called Fushihime Sakura, and stone tablets with haiku poems of Issa Kobayashi, Shuoshi Mizuhara and Fusei Tomiyasu in the site of Mamasan Guhoji Temple.